Which materials make the strongest composites? Woven or knit or crochet? Which stitch, hook size, and fiber geometry creates the most structurally sound and lightweight material? 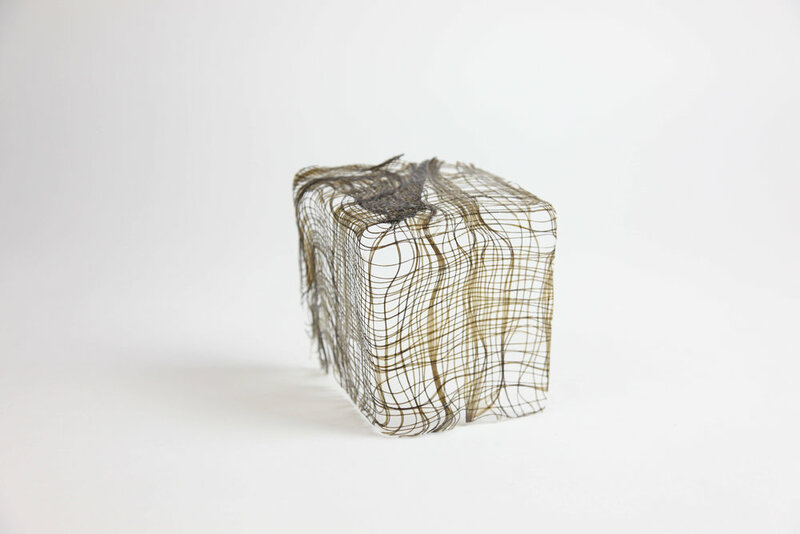 Check out our material studies to see what we learned. Composite materials are traditionally used as built up layers of perpendicular woven fiberglass to provide fiber strength in all directions. 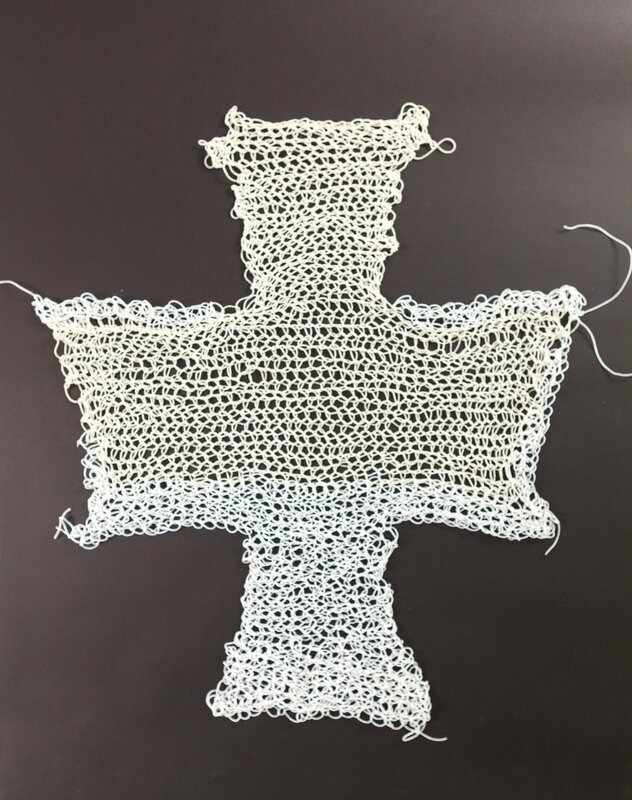 We hypothesized that a crochet or knit material, whose interlocking loops and omni-directional fibers traditionally create stretch, might provide more strength and stability when paired with resin. Because cotton has long staple fibers and is so absorbent, it created a promising composite. This particular Kevlar was not absorbent at all and thus was one of our weakest samples. Basalt fiber is a material made from lava rock with similar properties to carbon fiber but at a much more affordable price. Basalt is a bit too brittle to stand up to the rigors of a knitting machine. A multi-ply thread might be less likely to break and more absorbent. Woven basalt in a corner geometry. The qualities of woven material and thin fibers created a less stable corner than other materials we tested. Roving showed much more strength in compression when the material was triangulated into a corner shape. We went back to our 3rd grade roots with this "friendship bracelet" style experiment, which resulted in a flexible and strong (but not load-bearing) rod. Painting, rolling and scrunching or kneading the epoxy onto the material each yielded varying results depending on the material. Cotton created the strongest composite with a kneading method, which allowed the fibers to become more fully impregnated, but that also loosened some fibers, creating sharp spurs once the resin cured. To provide some consistency in testing, we used the same eco-friendly epoxy in all our composite materials. Based on a background rooted in sewing, our forms initially began as flat patterns that were draped over a form. Seams were sewn together directly on the form, but this created weak points in our composite. Hand crocheted 24-ply cotton string makes extra chunky, extra strong material. A hollow column constructed in a circular knitting style gave way to a corner to create our strongest geometry yet. It was particularly impressive in compression. This concept of textile-generated volume for maximum strength became a basis of all our future forms.